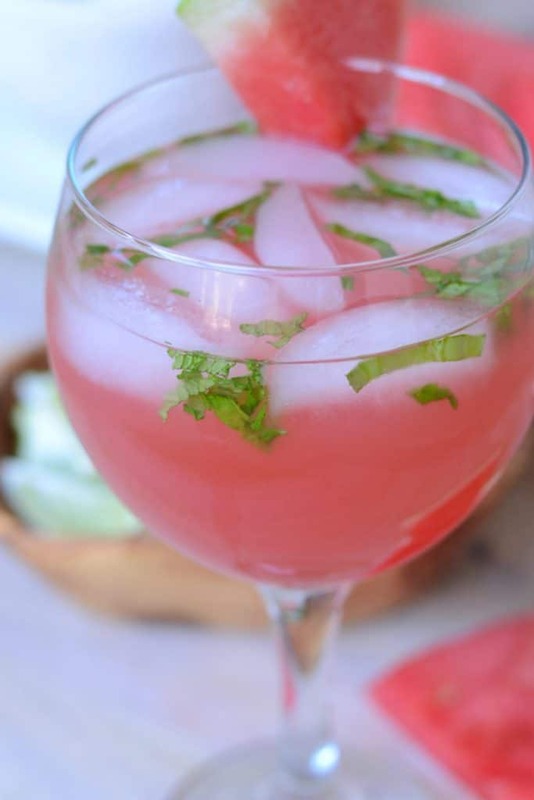 This delicious watermelon cocktail is made with fresh (store bought) watermelon juice, mint, basil, and light rum. It’s the perfect light summer cocktail, and it’s super easy to make. Last week, I had the pleasure of experiencing a relaxing long weekend in Cabo San Lucas. I sampled quite a few delicious adult beverages while I was there, but my favorite was the watermelon cocktail with fresh herbs from Flora Farms. It was light and refreshing, and not too strong or too sweet, which is exactly what I look for in a summer beverage. I knew I’d be making it at home time and time again. 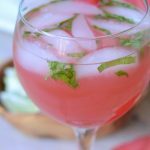 Thanks to the availability of fresh cold pressed watermelon water or watermelon juice at most grocery stores nowadays, it was super simple to re-create the recipe. If you’d like, you can make your own watermelon juice for this drink, but I find it a lot easier to buy it pre-made at the store. Fresh watermelon juice can be on the pricey side, but you don’t need to use much in this cocktail, so a little goes a long way. Plus, it’s very hydrating, which is an added bonus if you’re enjoying this cocktail on a hot summer day. 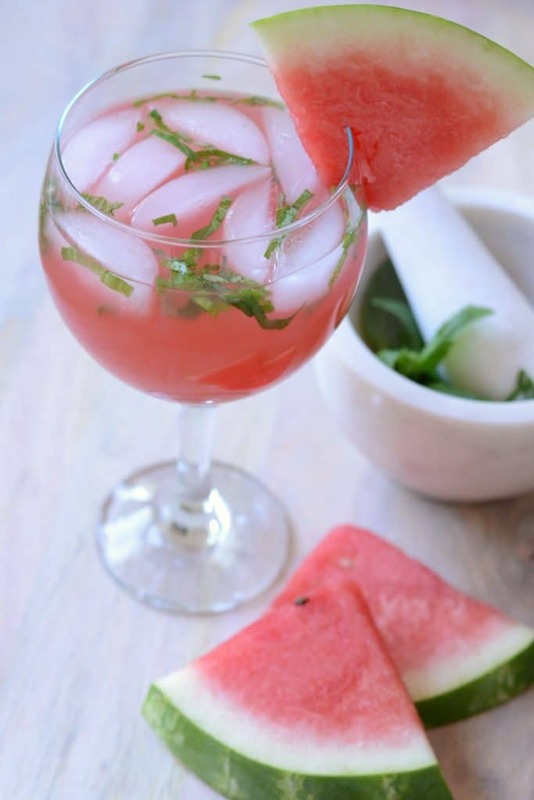 The addition of fresh basil and fresh mint adds to the summery taste, and these herbs pair SO well with watermelon. Use a muddler to get the most flavor out of the herbs. I also love the light rum in this recipe because the taste is really mild (in fact I hardly tasted it at all). There’s something about a summer cocktail with rum that just gives off an “instant vacation in a glass” vibe. What type of rum should I use? Avoid using gold rum or dark rum for this recipe, as the flavor will overpower the other ingredients. 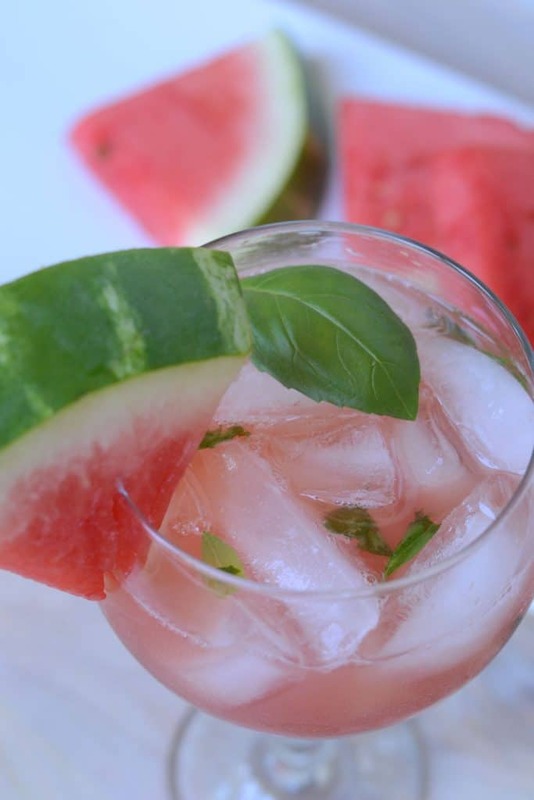 This delicious summer cocktail combines fresh watermelon juice, basil, mint, and light rum for a refreshing treat. 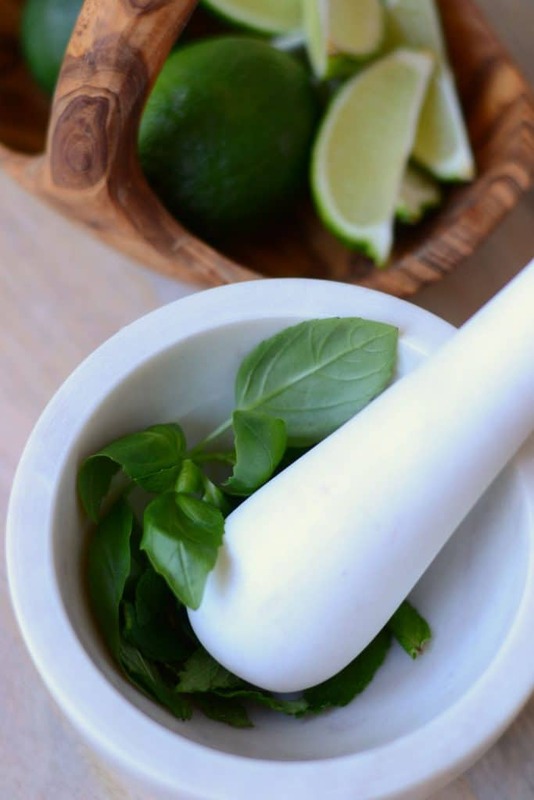 Using a muddler or a spoon, smash the basil and mint leaves into the bottom of a glass. Add watermelon water, rum, and 2 oz water. Stir to combine. Fill the glass with ice, and serve. Depending on the brand/type of watermelon juice you use, you may have to adjust the ingredients for sweetness. Want to keep up with Good + Simple in the simplest way possible? Subscribe to my newsletter! You’ll get a summary of new posts delivered to your inbox each week. *Your email will solely be used for my newsletter, and will never be shared or sold to a third party.